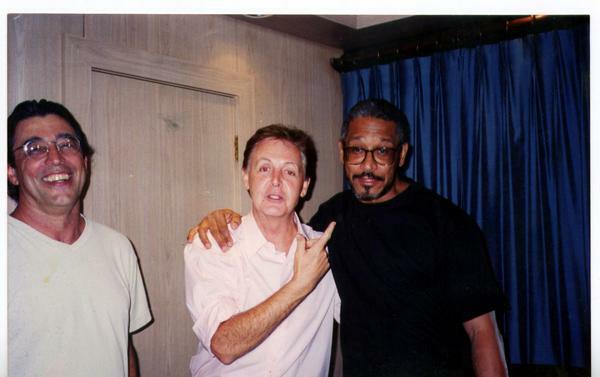 The man on the left is Brazilian musician Ivan Lins, my personal friend, and the other is one of his musicians, whose name escapes me now. Paul went to see Ivan's concert and stood in line to speak to him. He didn't accept Ivan's manager's suggestion that he should go in before everyone else.